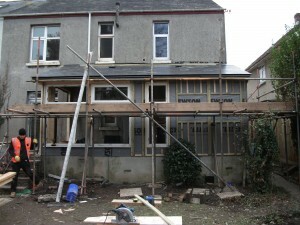 As one of the most trusted and reliable team of Exeter builders, the team at Churchford Property Care can help you with all forms of building work. Whether you are finally getting round to that dream kitchen renovation, looking to extend your home with an oak-framed conservatory or fancy doing up your guest bathroom, here at Churchford we’re on-hand to make it happen. Based in the historic city of Exeter, we’re lucky as a team of builders to be surrounded by beautiful architecture and inspiring work every single day. Our professionally-trained, trustworthy and friendly staff can offer a wide range of services, from small-scale repairs to specialist property assessments. Churchford Property Care is an approved contractor for Exeter City Council and is present on their select list of contractors. We are also Green Accord registered, meaning any building waste is disposed of in a safe and sustainable way. As builders in Exeter, we believe strongly in looking after the land around us and this includes cleaning up after ourselves! Our employees are experienced in all forms of building works. Whether you are dreaming of that perfectly luxurious wet-room or bathroom, an idyllic new kitchen installation, room sub-division/enlargements to make space for a new addition to the family, or simply want a gorgeous oak-framed conservatory, we can make it happen. Perhaps your roof is beginning to leak and you are concerned for your family’s health? Our team can enact reactive property maintenance to make sure your home is in good condition and your family are safe. Maybe your living room or even your business’ office could use a new look? The Churchford painting and decorating team can make any vision a reality. Property maintenance and decoration are just two aspects of a wide range of jobs we carry out including roofing, carpentry, plumbing and gas works and electrical works. 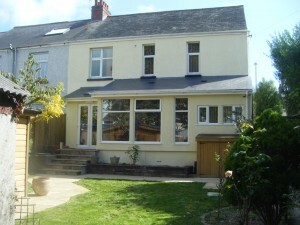 Our work ranges from small repairs to large projects and we provide building services in Exeter and surrounding areas. Areas we provide property care solutions for can be found here. If you would like to find out more about what we can do for your property, please call us today on 01392 494691.